Responsive themes are the rage of the moment in web technology. To satisfy this need of the web designers, we have come up with this site that gives complete reviews and information of the latest in the field of WP responsive themes. Whether you are a novice to the field or a seasoned expert, we aim to keep you up to date about the happening in this domain. 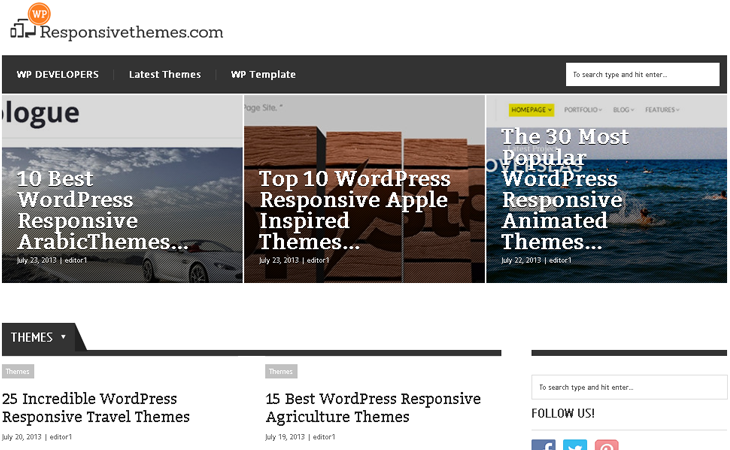 Responsive themes are for the web designers who want to develop themes compatible with mobiles and smaller screens sizes. The site ensures that the information on this site is genuine and latest, so that every visitor returns with the same level of satisfaction at every visit.